A showcase of Android UI design patterns. Here are 10 best mobile app ui design examples for your Android design inspiration towards excellent user interface. In my last article ( Top 12 Mobile App UI Design Inspirations), I discussed iOS design patterns. Android is another major mobile platform which uses Material Design. Mockplus has carefully selected 10 of the best mobile app UI design patterns for Android. We hope you like them! This is a typical locker design for Android apps. This UI pattern has an eye-catching UI to manage AppLock. It includes Admob Interstitial, Native and Banner Ads. A word of caution: this pattern will not work in Android 7. Android is now more secure, and permission to draw over an app in Android 7 is not available. Uniqua E-Commerce is a complete e-commerce app template that you could use to manage your business. It is a configurable android mobile app which allows you to add multiple categories (N.B: shoes, fashions, electronics, computers) of products and subcategories (N.B: male, female, kids). It has attractive and animated UI with Material Design. This app will help you to promote and sell products. 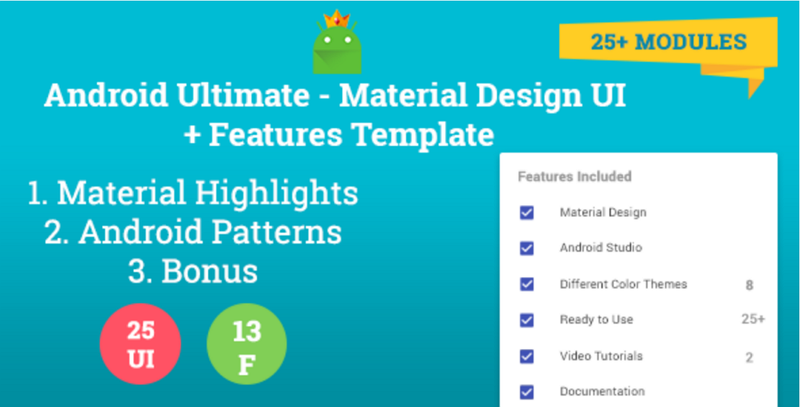 Android Ultimate has over 25+ modules embedded in a single template. These modules are categorized into 3 sections, namely Material Highlights, Android Patterns and Bonus. Every module is imported into the template with a simple demo of the module. You can take a look at the setup section and video tutorials if you use these modules in your project. Highlights of Google’s Material Design, such as Toolbar, Tabs, FAB, Recyclerview, Pickers & Dialogs. All the common patterns of Android App, such as App Intro, Login, Pull To Refresh, Textview & UI Elements. This android animated dashboard pattern UI is created to make any user feel like home from your app’s very first screen, with easy navigation. None of the included activities does anything more than display a line or two of text. That makes it a good starting point for building your own dashboard app. It supports more than fifty(50) pre-built animations that you can choose from your own layout. (see help file). 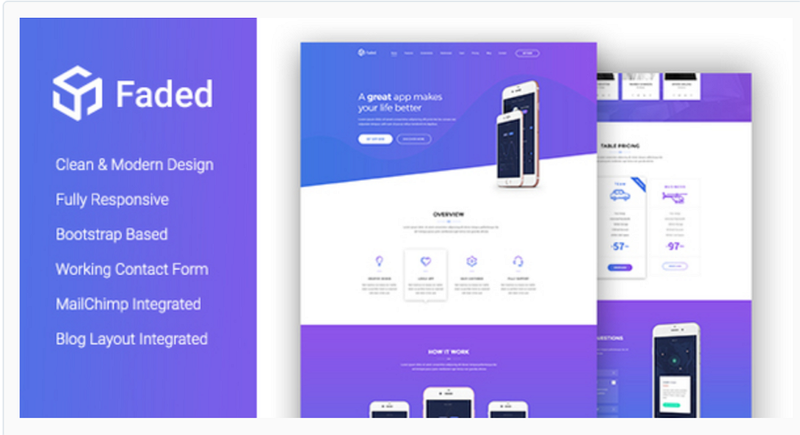 FADED is a modern app landing page template beautifully crafted for use in any related product in the industry, like mobile apps, saas applications, software, digital products even books or magazines. This template has been coded using HTML5, CSS3, JS, jQuery and Bootstrap. It is fully responsive, so you have the power to make your new landing page look awesome on all types of devices. This is a collection of Android UI design patterns on Medium. It contains all kinds of resources about Android UI patterns, such as UI Pattern Evolution — FAB-in-Bottom-Nav, Toolbar Delight and the like. Be sure to check out the conference talk: “Design-dev cooperation and fast Android prototyping,” as well. There are a few user interface patterns that have been proven to work well for users in the right certain situations. 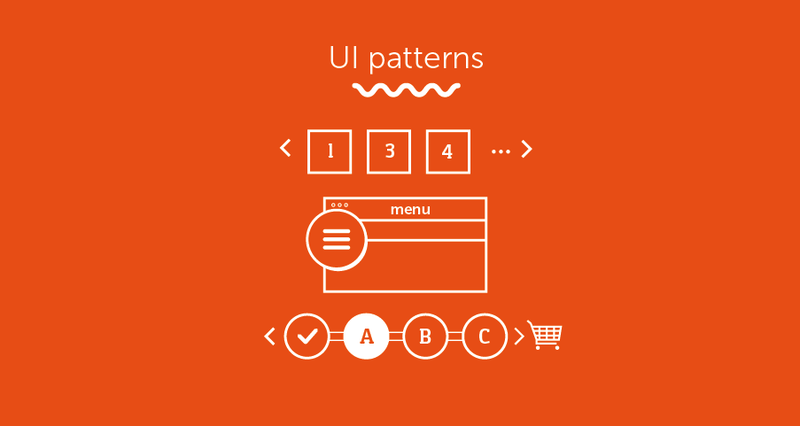 In this tutorial, you learn about a few of these patterns and how they can help your users. It includes Home Screen, Navigation and Actions, and Android Form Factors. 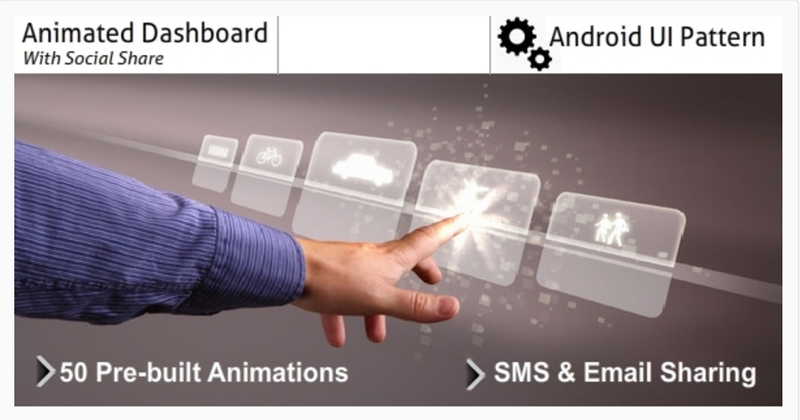 This site provides design patterns for Web, iOS, Android and Mac. It was featured #1 Product of the Day on Product Hunt. It provides handpicked inspiration and weekly email newsletters! You can find the latest UI design inspiration and UI patterns collected in one place. It includes all kinds of latest Android UI patterns, such as the uber_userpicker, beoplay-cart, banking-app-inspiration. Designs for the web, mobile devices, and tablets. This is the right place to explore the latest Android UI patterns and get more ideas for Android UI, Mobile UI and UI patterns. A showcase of the best examples of beautifully designed mobile apps that includes - iPhone, iPad, and Android UI patterns. Different UI Patterns which are available by Android to design apps that behave in a consistent and predictable way. The best Android UI pattern resources can be found here. A comparison of iOS vs Android interaction design patterns. The Android platform has a set of design patterns, which dictate how Apps and websites should look and function. Also, there are plenty of written and unwritten guidelines on Android UI design patterns to distinguish themselves from iOS or other mobile operating systems. 1. Two Standard Interface Themes, namely, Holo Light and Holo Dark. It contains a light and a dark theme, which depends on the visual style of your application. 2. Icons: icons of Android app create a sense of depth to mimic the real world. 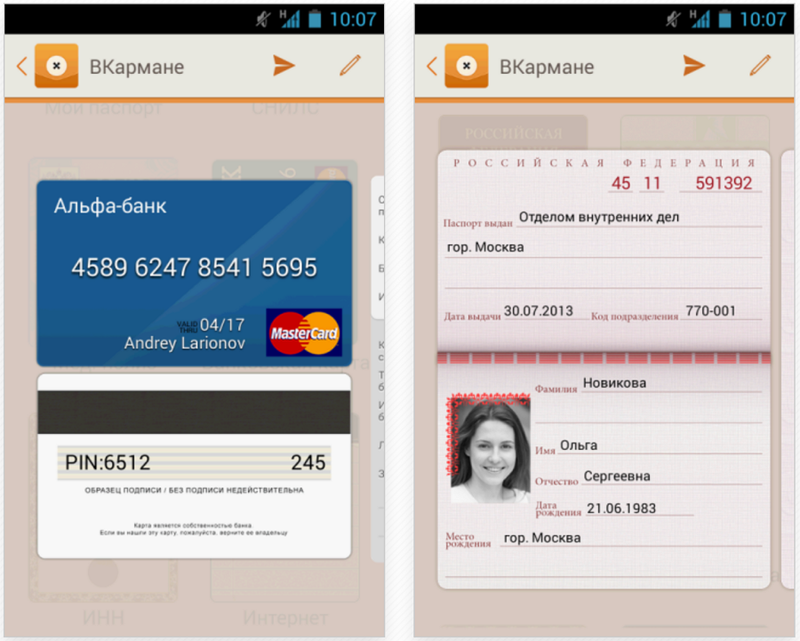 Moreover, most Android apps have a subtle 3D effect and adopt the using of transparency. 4. Icons over words: It is preferable to communicate through visuals, such as icons or images. If you come across a scenario in which words are absolutely necessary, make sure to keep it concise and actionable. 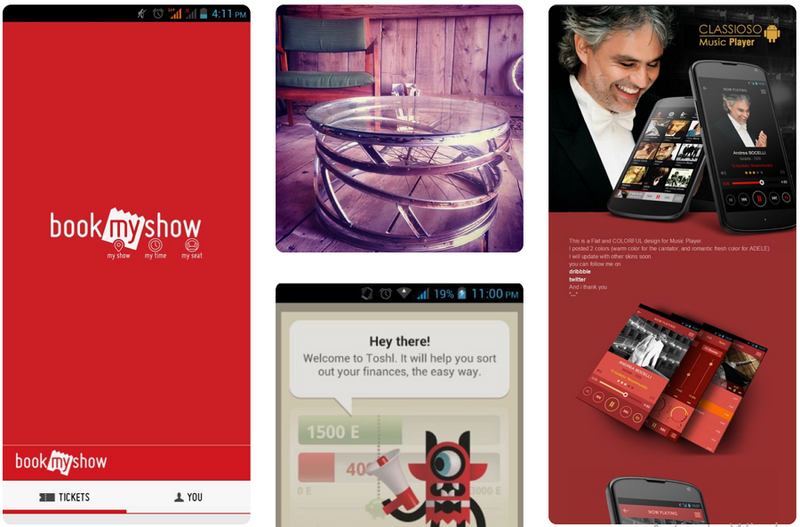 We discussed the 10 best mobile app UI designs in android (android design patterns). We hope these examples inspired you and you will try a few out in your next projects. And don’t forget to give Mockplus a go when building your next app!